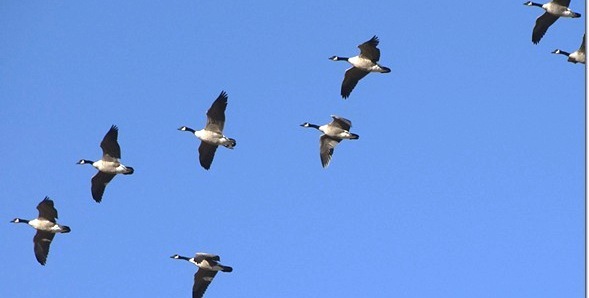 At exactly 8:34 this morning, a large gaggle of geese flew right over my backyard from the north, heading due south. Flying low and loud on this pleasantly cool, green, sunny morning, I wonder: whatever do they find to clamor and chatter so raucously about as they fly over? NOTE TO SELF: When cold winds begin to threaten – make haste to the secret place where life and comfort are found.